HP PageWide XL Printers Experience the fastest large-format monochrome and color printing with up to 50% savings in total production costs. 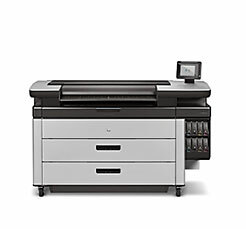 Print monochrome technical documents at the same or lower cost than comparable LED printers. Print color technical documents at the lowest cost in the market. Cut job preparation time and production cost up to 50%. 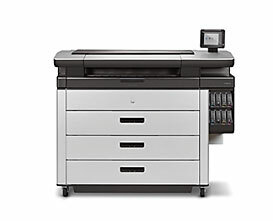 The fastest large-format monochrome and color printer ever. See total production cost savings up to 50%. Grow by printing GIS maps and point-of-sale (POS) posters at breakthrough speeds. Produce durable technical documents up to 40-inches (101.6-cm) wide with crisp lines, ﬁne detail, smooth grayscales and vibrant colors. Empower the business with immediate results. A new technical document standard, with cost eﬃciencies. 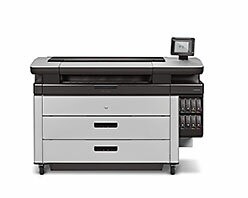 Beat monochrome and color printing deadlines by printing up to 24 D/A1 pages/minute. Set a new technical document standard with accuracy, durability, and color. Expand into GIS maps, point-of-sale posters, and more. And cut total production costs up to 30%. Boost production with instant printing, process eﬃciencies, and a new technical document standard. Increase your advantage with this powerful, eﬃcient printer or multifunction device. 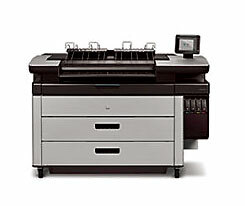 Speed up production—print up to 20 D/A1 pages/min with accuracy, durability, and vibrant colors. And help keep costs low with eﬃcient and secure workﬂows.